This is a project in collaboration with the Cleveland Clinic through the Cleveland Institute of Art. I came up with an app concept for MS patients to use music as a way to improve their condition. Behind the design, it was a challenge to truly understand the user of this app, so that's where the research came in. Through creating a user persona, empathy, and journey map, the user experience became clearer. 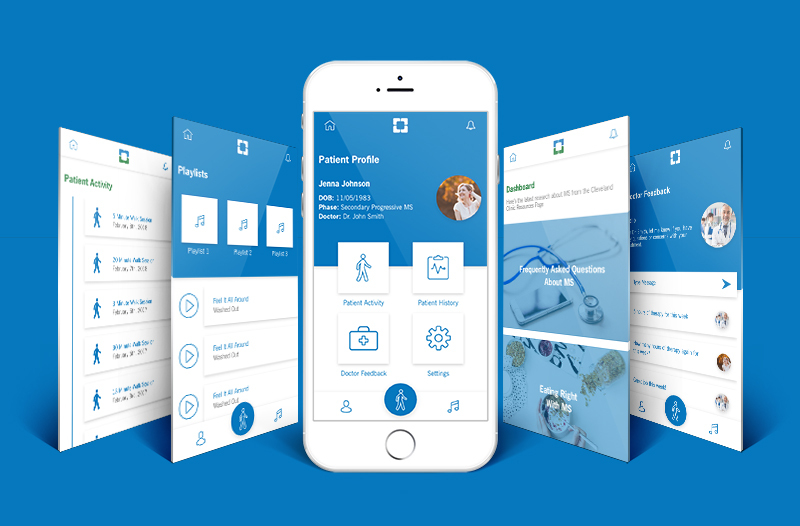 The core features in this app include a dashboard with research articles that the Cleveland Clinic posts, a customizable profile, playlists, doctor feedback, & more!